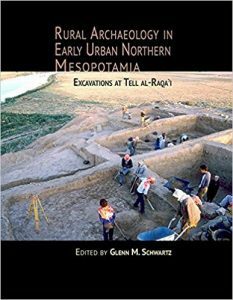 Congratulations to Professor Glenn Schwartz, winner of the American Schools of Oriental Research (ASOR) G. Ernest Wright Award for his book Rural Archaeology in Early Urban Northern Mesopotamia: Excavations at Tell al-Raqa’i. This award is given to the editor or author of the most substantial volume concerning archaeological material, excavation reports, and material culture from the ancient Near East and eastern Mediterranean. This work must be the result of original research published within the past two years.